Is Your LIFE Being Choked? We often forget to see what we are about. We are so busy earning a living to support ourselves and our family that we forget to see if we are happy. Are we doing what is best for us? I wrote a blog awhile back called Your Why. We explored WHY YOU want to be in business or not. Why you get up in the morning or evening and go to your job. Is it all about the income? Most likely not. But, would you like to do more, better, successfully? We may not realize it but we may be choked – restricted to the ‘current situations’ without seeing a way out. A friend posted this video today for leaders. It is excellent and really identifies that many of us, as leaders, are “prone to move from one task to the next with mental speed and insightful clarity”. Even when we set goals and start implementing the Plan, we find “distractions, busyness, and just plain old bad habits have a way of gradually yet persistently working their way into our lives”. Soon we are ‘back to the old’, go to work, eat, sleep and forget about our passions, dreams, and goals. We often forget our hobbies and relationships too. My friend calls this “getting off purpose”. Explore YOUR passions, report on them to family and friends, build a business around your passions and earn while having fun and doing meaningful things you enjoy. Previous PostPrevious What is Your WHY? – Your Passion? 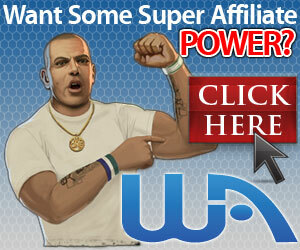 Next PostNext What is an Affiliate Program?